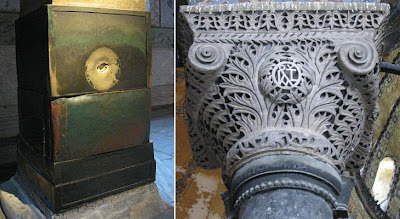 Within the Church of Hagia Sophia in Constantinople is a copper-covered square column (stele) with an odd looking hole in it, said to produce miracles. 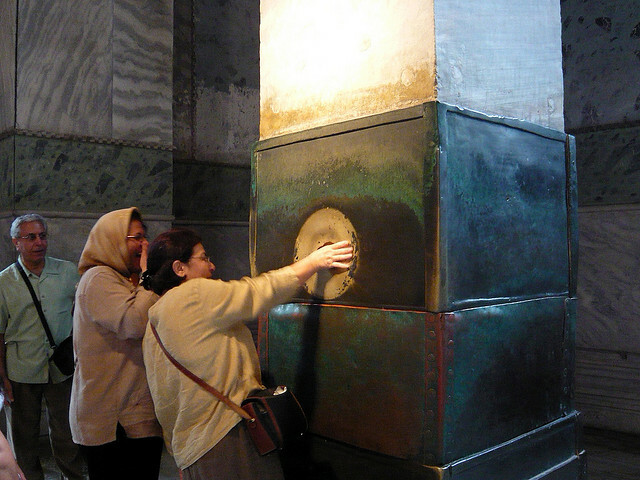 People line up to put their thumb in the hole, and when they turn their thumb fully clockwise it becomes wet with a substance said to produce the miracle. According to tradition, St. Gregory the Wonderworker appeared in Hagia Sophia following its contruction, and touched this column giving it miraculous properties.